‘Tis the season for cooking! 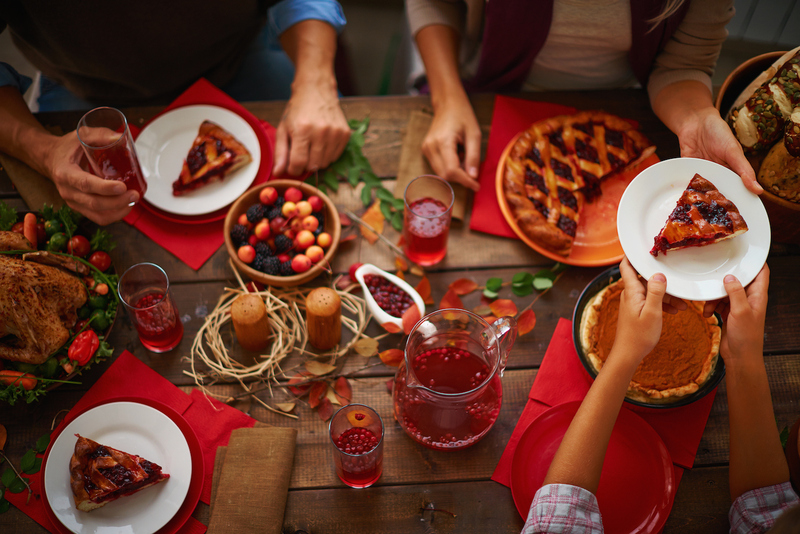 If you’re a foodie, then the holidays are likely one of your favorite times of year. From amazing appetizers to delicious desserts, there’s no shortage of dishes to enjoy with family and friends. Western Union (WU) found 6 festive dishes to make for the holiday season that will fill your home with warmth and fill you with holiday spirit. Nothing says holiday quite like spiced pecans. If you want to start your dinner off right, this delightful, festive dish is the way to go. This light, tangy salad has a kick from the creole mustard, balanced by the sweet and sour flavor of the lemon and orange flavors. You can prepare the spiced pecans and vinaigrette in advance so that you can quickly whip up the salad the day of your party. Love eggnog? Make a little more this year so you can enjoy it with your French toast! This easy-to-make recipe swaps regular milk or cream for eggnog, making the French toast extra rich and full of festive flavor. You can even add fresh strawberries for a little holiday color. Try it and you’ll be making Eggnog French Toast as your yearly tradition from now on! For an entrée that screams “holiday!” look no further than this fantastic Pork Loin Roast with Carolina Apple Compote recipe. The fragrant apples, cider, ground cinnamon, cloves, and orange zest will fill your home with warm holiday aromas as if you’re baking an apple pie! It can be tough to find a holiday entrée that everyone can agree on, but this roast is sure to please most every member of the household. Custards are always delicious around the holidays, but are often time-consuming to make. This Baked Custard whips up quickly, and after just an hour cooling in the fridge, is ready to be served. Replacing the usual nutmeg with allspice gives the dessert a unique flavor and plates beautifully as well. Tired of plain old mac and cheese? This decadent alternative that swaps noodles for gnocchi will be your kids’ next favorite dish and quickly earn its place on your holiday dinner table. While the gnocchi (heavenly pillows of pasta and potato goodness) cook on the stovetop, simply grate cheddar, fontina, and Parmesan cheeses and whip together the rich, creamy sauce. Give Brussels sprouts a festive twist with this sweet and savory recipe! These flavorful Brussels sprouts, made with only five ingredients, can be made quickly and will please even the pickiest palate. Getting kids to eat their veggies (rather than just sweets) this holiday season has never been easier! These six amazing festive dishes will give you something festive to cook morning, noon, and night. What are your favorite holiday dishes to cook? Share them with us in the comments!